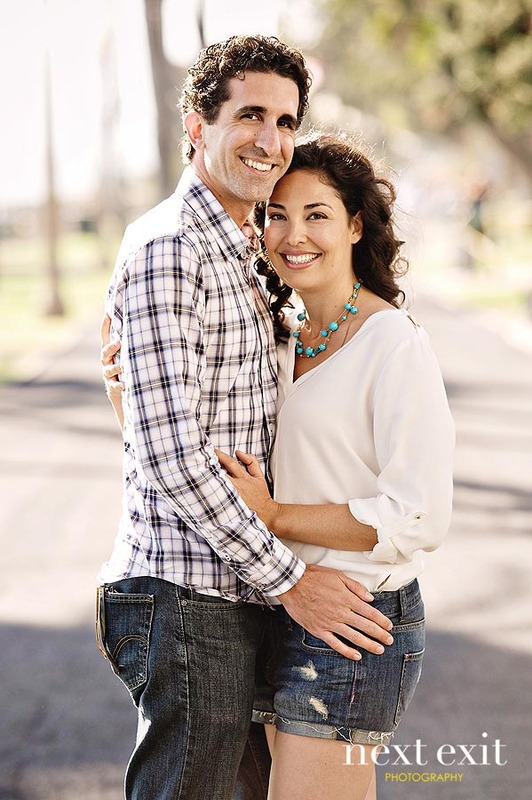 We can’t wait to shoot Valerie and Derek’s Wedding at Ranch Del Cielo later this year. I know I say that a lot, but you should have the seen the way that these two look at each other. I can only imagine that their wedding photos will be some of the best ones I take all year. And Rancho Del Cielo will fit their wedding perfectly. The view, the garden, the ceremony site. Every thing about Rancho Just look at this session. We started at Barney’s Beanery on 3rd St. and ended up at the Santa Monica Pier. Through the whole shoot, Valerie and Derek couldn’t have been more cute if they tried. Every image oozes with adorableness. 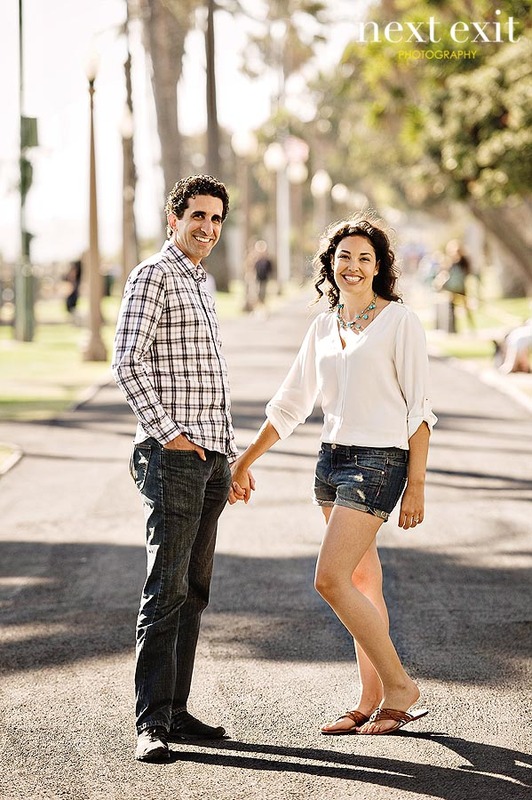 These two are a huge heaping helpful of Santa Monica Pier Engagement Photography adorableness. Don’t you think so? We shoot a lot of Shutters on the Beach Engagement Sessions. Heck, we shoot a lot of Shutters on the Beach Wedding Photography too. 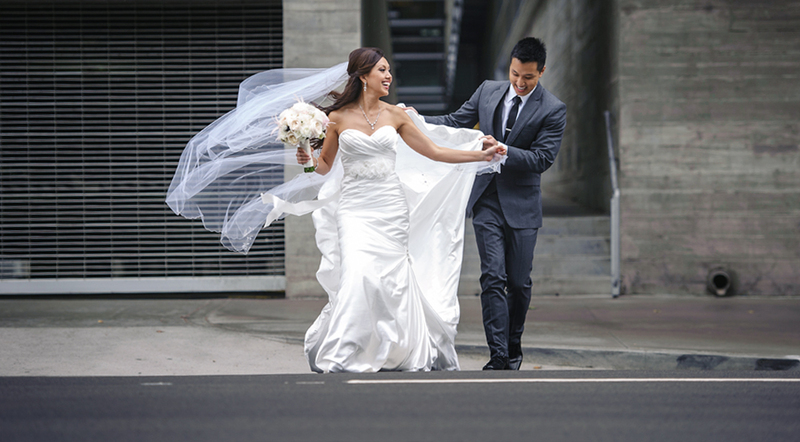 Local to Santa Monica, Next Exit Photography has the honor of being one of the featured photographers on their preferred wedding photographer list. We know the ins and outs of their property and every nook and cranny. You might even say that we are Shutters on the Beach wedding photography experts. I’d like to think so anyhow. But enough about us, lets talk about this amazing couple. We have known Hayden’s family for what seems like forever, so we were especially super excited when the family decided to hire us to shoot Hayden and Robbie’s Bacara Resort wedding this coming August. We can’t wait to celebrate with them. We love you guys. It was my supreme honor to photograph this wedding for two reasons. First off, one of my favorite wedding planners in the city referred me to the bride. Always amazing to work with the incredible team of experts at Bob Gail Events. Secondly, the bride herself is the Director of Catering & Private Events at the spectacular Peninsula Hotel in Beverly Hills. I mean, she knows every photographer in the city, and chose me!!! I loved working with Jamie and Mike and their families and bridal party. We had so much fun exploring the Sunset Strip before the ceremony and she didn’t even care about her dress getting dirty! (That’s my kinda bride). The wedding was exquisite as I knew it would be. I kinda feel like J and I are going to be friends forever. Those of you who read my blog know that I don’t say that often. amy marella - amazing shots cat!! you make us look good everytime! I love quoting original client emails from when they first inquire with the studio and this one is no exception. Kenny wrote, “Ummmm I’ve had your blog on my google reader the last two years by reference of my friend who had been researching wedding photographers years ago. I just added it because your pictures are pretty :).” He had me at pretty. And then it was Kenny’s turn! Kenny and his now wifey, Becky, had the most beautifully beachylicious wedding on a perfectly beachylicious day. 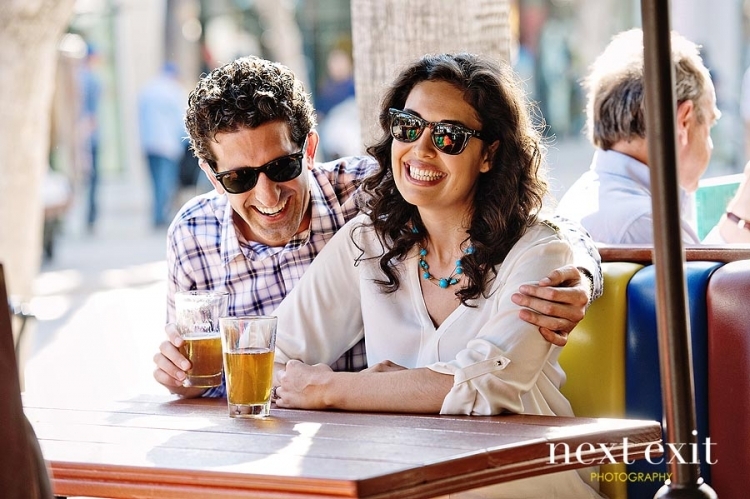 The skies could not have been more blue in Manhattan Beach that day.